In many popular movies, Jack Frost is often a mischievous, annoying character who enjoys ruining children’s play or making life miserable for adults. Is there any wonder why he is cast that way? When his freezing fingers get on an exposed portion of pipe, they can wreak all kinds of havoc. When an un-insulated length of pipe (even a very small length) is exposed to a harsh Arctic wind, the water starts to freeze quickly, shutting off the flow of water. The freezing itself doesn’t cause the break. Pipes usually never mind the normal winter cold. But, as water freezes it expands. As this happens the water trapped between the frozen part and the spigot has no place to go. 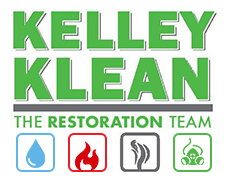 Your pipes and joints are made to withstand normal water pressure. Imagine a small plunger being pushed through your pipe with unrelenting force. When the pressure is multiplied many times, any defect in the pipe or joint will eventually break if the pressure is not relieved. Experts remind us to keep the faucets dripping on a cold, cold winter night to give that pressure a way of escape. Opening your faucet to a slow trickle will not guarantee your pipes will remain unfrozen, but it can help because flowing water is less likely to freeze. Even so, the best prevention measure is to insulate all pipes that run through an outside wall (especially on the north side), a basement, or an attic. Any exposed pipe is prone to freezing. When the serious cold comes, keeping the sink cabinet doors open will help keep the warmer air inside the house circulating around the sink pipes, helping to prevent a freeze. If you go out of town, don’t turn your thermostat down below 55 degrees. 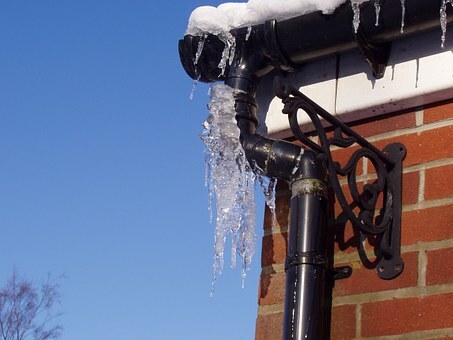 Outside measures should be taken on areas where water or pipes are exposed to the cold. For instance, any waterlines going into and out of a swimming pool should be well insulated or drained. Detach water hoses from outside spigots, and cover the outlets with foam caps, towels or some other material that will protect them. Even a thick layer of newspaper (about a quarter-inch) can help. Finally, use silicon or caulk to seal any holes or cracks in your outside walls. If a homeowner thinks the frozen length of pipe is not easily accessible, they should call a plumber to unfreeze their pipes. If the frozen area can be reached with minimal difficulty or risk then there are ways to safely remedy the frozen blockage. First, turn the connecting spigot or faucet on all the way. Then something can be used to warm the pipe. A heating pad can be wrapped around the exposed area. Using a hair dryer on the highest warm setting can help get the water flowing. Once the blockage is even partially cleared, flowing water will tend to make the ice melt faster. When frozen pipes break, this can cause thousands of dollars in water damage to a home. Also excess water in an attic or other enclosed area can serve as breeding ground for black mold or mildew, which brings on a whole different set of issue. Spending a little on insulation, foam pipe sleeves, and other preventatives could save a lot more in the long run. All things considered, that proverbial ounce of prevention is usually the best way to go.